We have held our community discussions for several months now. We are learning what is easy and what is hard about planning, preparing and executing these discussions. We find that once the program is over we have many that say, wow, that was enlightening, inspiring, important. Then we go back to the hard reminding people that race is just a word that takes on whatever connotation the user of the word and the person who hears it adds to it's meaning; based on life experiences. It is here that I must thank Book Tavern owner, David Hutchinson for his courage and determination that we press forward every month. Today we celebrate the men and women who have and currently service this great country in the most profound way. They put themselves potentially in harms way so that we don't have to. We give an extra shout out to women veterans because their service has not been as documented or publicly acknowledged, like a lot of things until now. 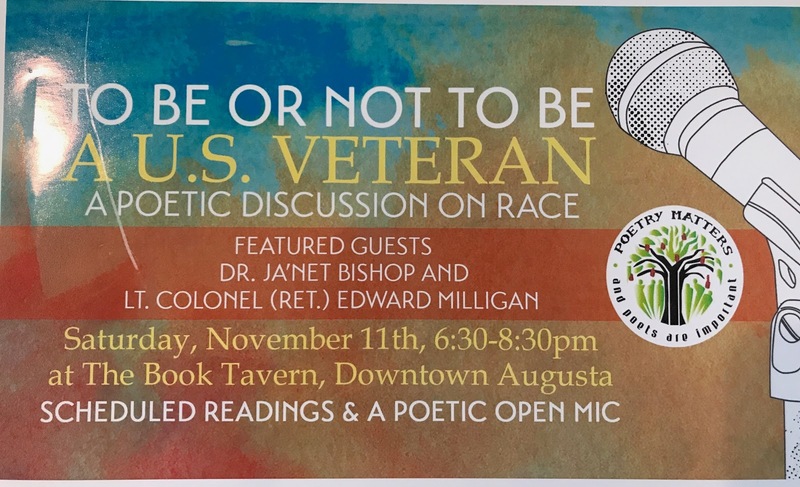 Our program today will feature Dr. Ja'net Bishop, a former U.S. Army Captain, has served as a Public Affairs and Finance Officer in the Army Reserves and the North Carolina National Guard. She’s served active duty during Operation Desert Storm. 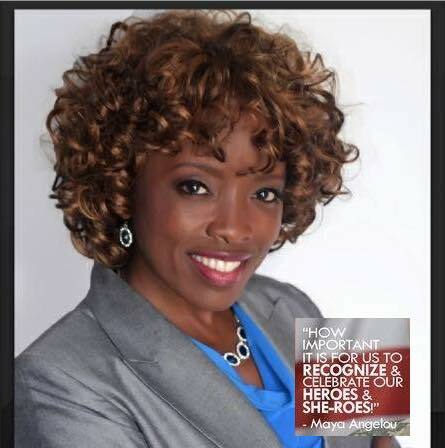 As an alumnus of the Metro Augusta Chamber of Commerce-Leadership Augusta. She has collaborated with Youth Leadership Programs, served as a drug abuse prevention and teen pregnancy educator. She was also the Executive/Advocate Director of the Augusta Child Advocacy Center, where she’s helped victims of child abuse in court cases. As a consultant, she previously developed youth intervention groups for Columbia County Juvenile Court. A former Adjunct Professor for Cambridge College in the Counselor Education graduate program, Bishop taught, advised, and mentored future school counselors. 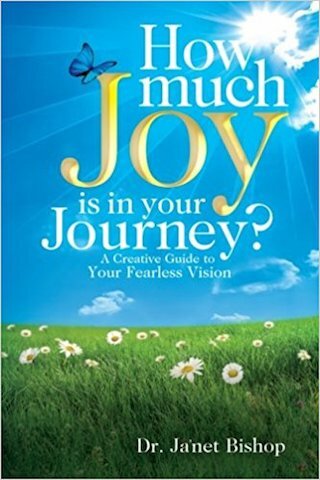 She recently published her first book, How much Joy is in your Journey? She is also the founder of Boots to Break Through, an organization dedicated to women transitioning from military to civilian life. We have come to know Dr. Bishop not just as a inspirational human being but as a friend. She has come through much in the past year. Come hear her story and add to the discussion! Raise a glass to freedom and give special thanks to our Service Women! Founder of Poetry Matters Project Ltd.